Researchers reporting in the Cell Press journal Current Biology on September 8 show catastrophic declines in wilderness areas around the world over the last 20 years. They demonstrate alarming losses comprising a tenth of global wilderness since the 1990s - an area twice the size of Alaska. The Amazon and Central Africa have been hardest hit. The findings underscore an immediate need for international policies to recognize the value of wilderness and to address the unprecedented threats it faces, the researchers say. "Globally important wilderness areas--despite being strongholds for endangered biodiversity, for buffering and regulating local climates, and for supporting many of the world's most politically and economically marginalized communities--are completely ignored in environmental policy," says James Watson of the University of Queensland in Australia and the Wildlife Conservation Society in New York. "International policy mechanisms must recognize the actions needed to maintain wilderness areas before it is too late. We probably have one to two decades to turn this around." Watson says much policy attention has been paid to the loss of species, but comparatively little was known about larger-scale losses of entire ecosystems. To fill that gap in the new study, the researchers mapped wilderness areas around the globe, with "wilderness" being defined as biologically and ecologically intact landscapes free of any significant human disturbance. The researchers then compared their current map of wilderness to one produced by the same means in the early 1990s. 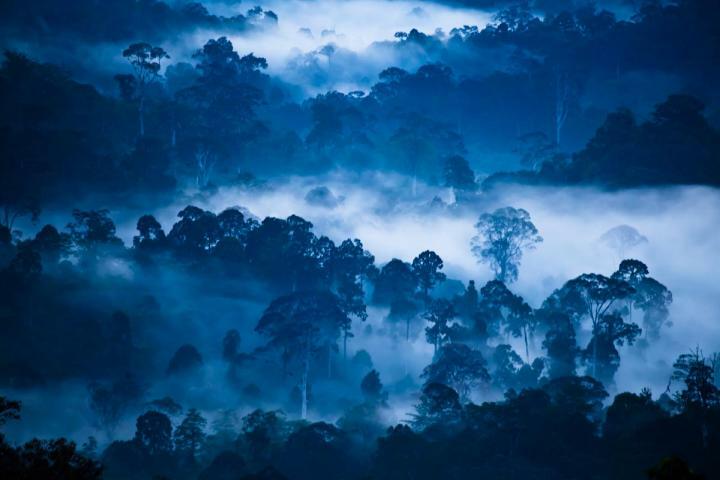 Their updated map shows that a total of 30.1 million km2 (more than 20 percent of the world's land area) now remains as wilderness, with the majority being located in North America, North Asia, North Africa, and the Australian continent. 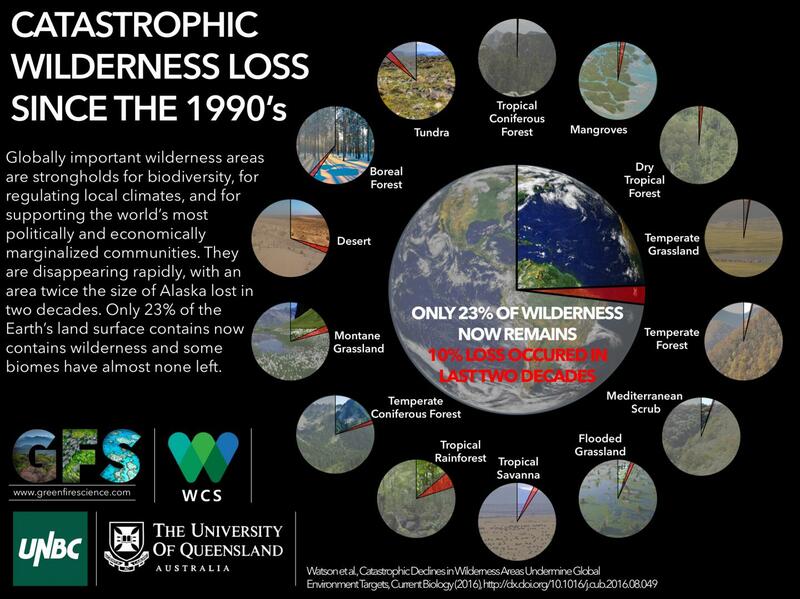 However, comparisons between the two maps show that an estimated 3.3 million km2 (almost 10 percent) of wilderness area has been lost in the intervening years. Those losses have occurred primarily in South America, which has experienced a 30 percent wilderness loss, and Africa, which has experienced a 14 percent loss. "The amount of wilderness loss in just two decades is staggering and very saddening," Watson says. "We need to recognize that wilderness is being dramatically lost and that without proactive global interventions we could lose the last jewels in nature's crown. You cannot restore wilderness. Once it is gone, the ecological process that underpin these ecosystems are gone, and it never comes back to the state it was. The only option is to proactively protect what is left." Watson says that the United Nations and others have ignored globally significant wilderness areas in key multilateral environmental agreements, but that has to change. "If we don't act soon, it will be all gone, and this is a disaster for conservation, for climate change, and for some of the most vulnerable human communities on the planet," Watson says. "We have a duty to act for our children and their children."